We have the largest selection of talented, internet actors ready to perform the way YOU want them to on YOUR website…personally marketing to ALL of your online visitors! Our quality, High Definition videos literally bring your website to life and increase sales! Have one of our dynamic actors guide your prospects through your website, ask for the sale, educate them about your products or services and much more! Why go with us? It's simple! Every video is custom produced, exclusively for your business. The ordering process is simple and automated. No hosting fees, hidden costs or hassles. Prompt turn around time. 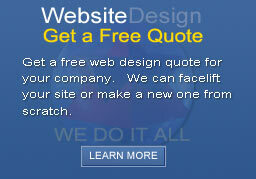 Request a web design quote and make sure you click on "Live Model"